The Granata Spring is confirmed as a champion of Italy by beating in the final 3-1 Florence after having passed in disadvantage in the first half. Martin, Ponzio and Crisantino overturn the result and take the fourth category title to the company. first half because of Greta Vallotto's own goal that in an attempt to anticipate the attacking opponent headed his own goalkeeper Ozimo. This at 21 ', after a brilliant start by the Florence that put Torino in trouble, without the disqualified Barberis and with a Martin in the field by service for the ankle problem. The Primavera del Torino will play the final of their championship at the Righi stadium in Borgaro (To), located in via Santa Cristina 16. The Florence-Turin match will start at 17.45. The grenades came in the final after passing in the national first Sestrese in the quarterfinals and then Como in the semifinals, obtaining four wins in four games. Twenty summoned by the Serami technician: Ozimo and Olivetti; Aghem, Favole S., Welter, Nicco, Dragone, Rosso, Vallotto; Martinatto, Martin, Malara, Pisano, Capra, Lupo; Moretti, Ponzio, Crisantino, Grassino, Tordella. The striker Laura Barberis was disqualified for a day by the sports judge for the sum of cautions in the final phase. In doubt Enrica Lupo, Valentina Capra and Giorgia Pisano, still struggling with injuries that prevented the three players to take the field in the double challenge against Como. Francesca Martin has been regularly trained, leaving early in the match against Como for the recurrence of ankle pain. The Primavera of the ACF espugna Roma and gains access to the final of the national championship of Spring that will see it opposed to the Turin champion of Italy in charge. A game that played at the Bettini Cinecittà that saw the two formations to fight under the scorching sun before a large and colorful audience. 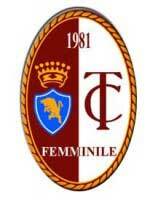 The girls of Silvia Pratesi started from the victorious race of the first leg when in San Marcellino were imposed with the result of 3 1, but despite this they try to put pressure on the Giallorossi and already at the 8 ° go ahead: Teci puts a ball in depth, Mascilli cuts towards the center of the area and anticipates defense and goalkeeper puts in flat. The grenades are struggling against a leathery Como, but in the second half the grafts of Rosso and Crisantino change the game and the girls of Serami are rampant. 3-1 the final result with Crisantino's goal and a double by Moretti, on Friday the Scudetto will play against Florence. It is final. 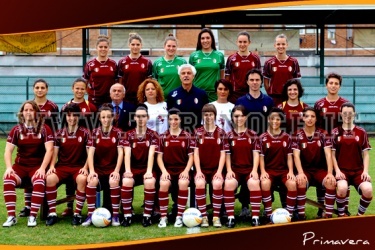 After one year Torino Primavera returns to the championship final to defend the title won twelve months ago against Brescia. The opponent this year will be the Florence that defeated the Rome 4-2 in the return match, after that already in the first leg was imposed for 3-1. The Torino, however, to overcome the Como must work hard and not a little, with a first time that sees the lariane master of the field, but not very incisive in the door. The coach Serami has yet to give up the injured Capra and Lupo as well as the disqualified Tordella stopped for a turn by the sports judge. The ACF Spring continues the march towards the return semi-final on Sunday in Rome. Mister Silvia Pratesi will still have to do without Matilde Cosi (last week) and captain Ginevra Valgimigli (for her a muscle break that made her finish the season prematurely). After the first leg (remember the result of 3 1 for the viola) in the Florentine home there is a cautious optimism even if the whole environment is aware of the difficulty of the race. "It will be a very complicated match" confirms Silvia Pratesi "because Roma is a good team as we have seen in San Marcellino: we will have to be careful to manage the different stages of the race without thinking too much about the 3 1. The Primavera del Torino will play the semi-final return of their championship at the Valla di Settimo Torinese stadium, located in via Cascina Nuova 59. The Turin-Como match will start at 15.30. In the first leg the grenades were imposed for 1-0 thanks to the network of Erika Moretti. Twenty summoned by the Serami technician: Ozimo and Olivetti; Aghem, Favole S., Welter, Nicco, Rosso, Pisano, Vallotto; Martinatto, Martin, Malara, Capra, Dragon; Moretti, Ponzio, Barberis, Crisantino, Lupo, Grassino. The attacker Federica Tordella was disqualified for a day by the sports judge following the expulsion remedied in the final minutes of the first leg.